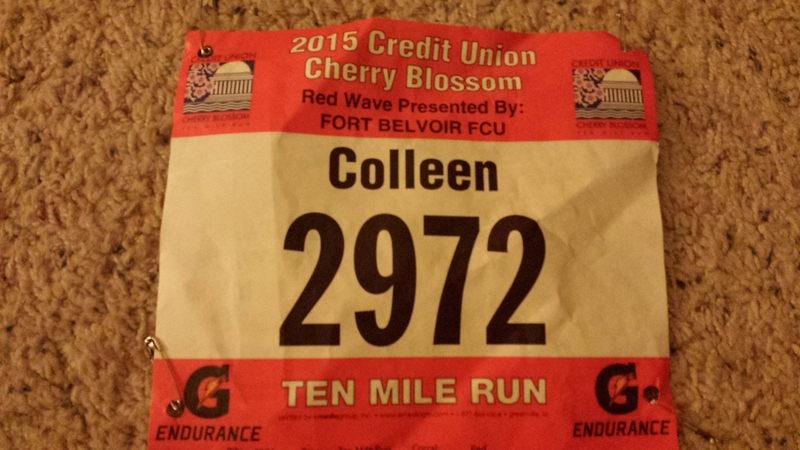 This entry was posted in D.C., Fitness, Races, Running and tagged 10 miler, Cherry Blossom, Cherry Blossom 10 Miler, fitness, intervals, racing, runnng, speed, training by Colleen Lerro. Bookmark the permalink. Haha, yea, probably not my smartest idea, but I had been putting it off all week and knowing I wasn’t in full-on racing shape, I figured I at least wanted to get the most out of the week that I could!